Every child deserves a place to play, exercise and develop! 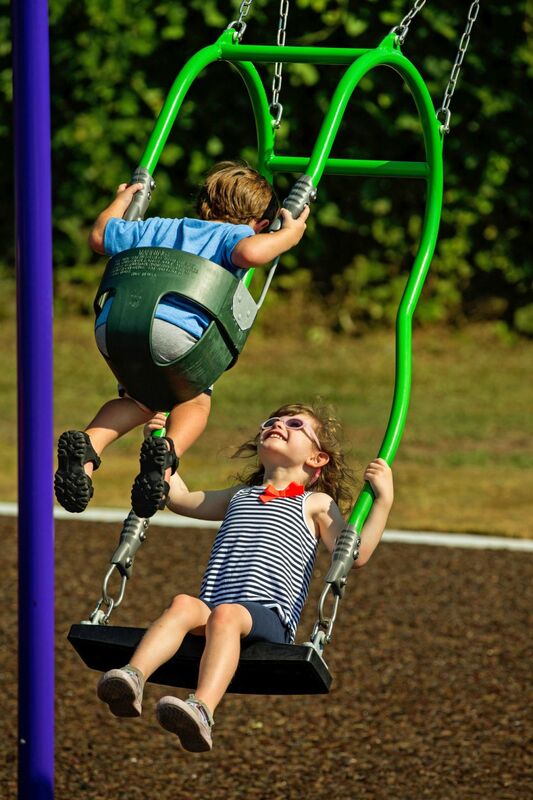 Cunningham Recreation is an exclusive distributor of GameTime playground equipment, who has been a pioneer in the commercial playground equipment industry since 1929. GameTime has a heritage of creative, forward-thinking design and engineering that moves play beyond limits with top-of-the-line playgrounds. At Cunningham Recreation we strive to meet the needs of our customers and build play spaces that will work in any size or shape area and fit ANY budget. Our playground equipment is the perfect option for municipalities, neighborhood parks, schools, churches, housing authorities and home owners associations. We offer endless play options allowing you to build the perfect park or playground area. From accessible play structures to motion & spinning equipment, we are your one-stop-shop for ALL of your playground and fitness equipment needs. Our playgrounds, activities, site furnishings and amenities are constructed from the highest quality materials and are backed by the industry’s best warranty and customer service. Contact us to learn how we can help you put together a playground that is thoughtfully crafted to move play beyond limits for people of all ages, abilities and backgrounds. Use the form below to contact us for more information on our playground equipment.